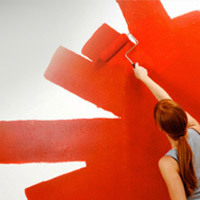 you must learn all about the care and preparation that goes into a painting job. 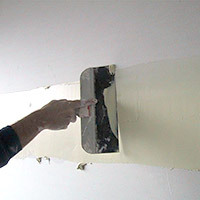 This includes preparation work like masonry work, crack filling, water proofing etc. These have to be undertaken to ensure maximum life for the final paint film. This refers to the process of making the surface fit for painting. For example, if you are painting your interior walls, you would need to make them smooth by applying Putty and using the correspondent Primer. In case of microbial growth, use SCIB Etch or Seal Coat 102 AR before puttying as a neutralizer for alkaline salt on plastered substances. This includes the steps to be followed in getting the final paint film on the surface.